7amleh Center publishes research on Palestinian civil society organisation’s digital activism and training needs. 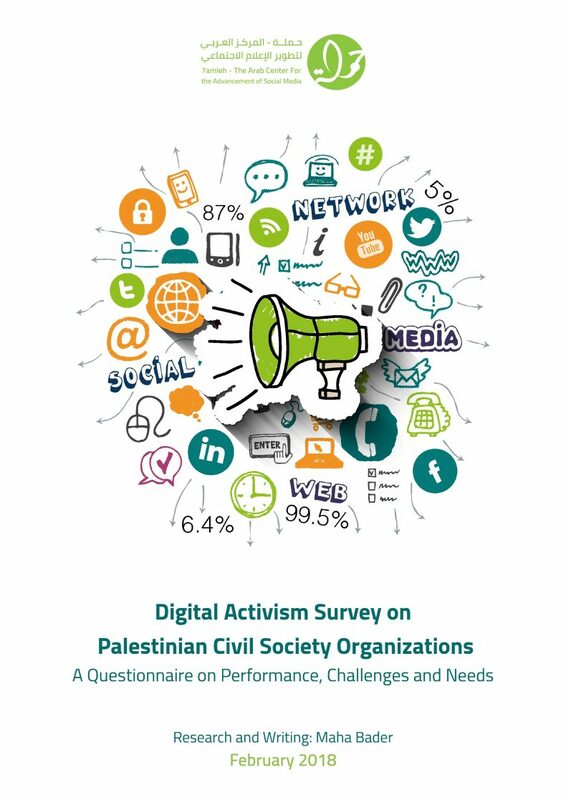 7amleh – the Arab Center for the Advancement of Social Media published today the results of a survey it conducted on Palestinian civil society organisations’ digital activism. The survey was conducted between August and October 2017, and aimed to portray a clear picture of the reality of Palestinian NGOs in terms of their use of social media and digital activism. The research was conducted in order to plan ahead for future trainings on the basis of actual needs and requirements of NGOs in the region. 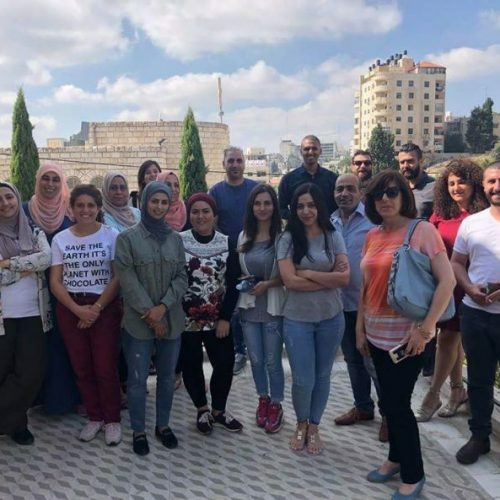 It was conducted by Maha Bader with the participation of a total of 108 organisations from all Palestinian communities, including Gaza, the West Bank, Jerusalem and Palestinian organisations in Israel. The research focused on five influencing factors with variables on two issues. The influencing factors are: organisations’ geographical location, age of the target group, geographical location of target group, size of the organisation and the field of work of the organisation. It researched two issues: (social) media performance, and challenges and needs of organisations in this field. 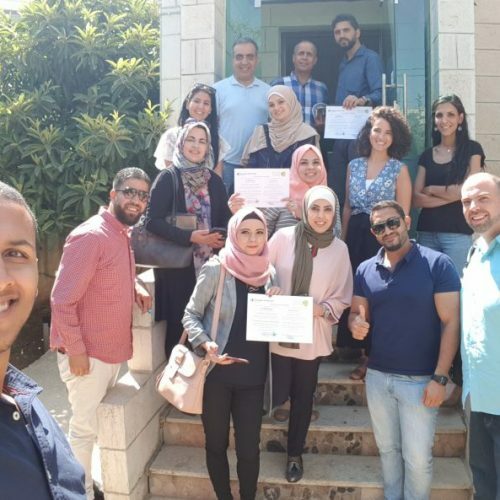 Results of the survey showed that Palestinian organisations are working with media in general, with 93 of the organisations affirming their work with social media and 58% having one position under a media title. However, only 32% of the organisations had a specialised media department. 61% of the organisations have a media-strategy, but only 43% invest in a stable budget for media. On social media, the research found that 70% of the organisations have sponsored content on social media at least once, whereas 54% have already implemented a digital awareness-raising campaign on social media. 49 of the organisations ensure that the digital strategy is part of the general media strategy. Furthermore, the research found that 100% of Palestinian organisations have a facebook account, 75% have a youtube channel, 51% have a twitter account, 27% have an instagram account and 18% a LinkedIn account. Additionally, challenges faced by the organisations were surveyed. Whereas 77% of the organisations lack the necessary budget to execute digital campaigns, 48% lack specialized experts working in this field, and 37% lack access to the target group of the campaign. Additionally, 25% of the organisations lack either the tools and face difficulties running facebook pages. Furthermore, organisations face difficulties conveying their messages and content, with 31% naming the illegal Israeli military occupation as the major obstacle, and 19% pointing to the Palestinian Authority as a restriction, as well as 15% stating religious considerations. The surveyed organisations identified their needs for training in capacity building in this field, prioritizing training on management of social media platforms, followed by campaigning. More than half of the organisations furthermore require training in crowdfunding. Regarding training on reaching out to target groups, a difference between organisations in different locations became evident: whereas 78% of organisations in Israel identified such a training need, only 44% of organisations in Jerusalem did, 53% of West Bank and 62% of Gaza organisations. Digital security trainings have a higher importance for Jerusalem based organisations with 56% than for West Bank organisations with just 30%. Video-advocacy training was particularly important for organisations registered in more than one location. The recommendations of the survey clearly outline which trainings are most essential for Palestinian organisations. A continuous need for trainings on management of social media platforms was identified, but also a particular need of small and medium-sized organisations as well as an interest in crowdfunding trainings. Additionally, capacity-building on digital campaigns for organisations working internationally have been identified as a need. 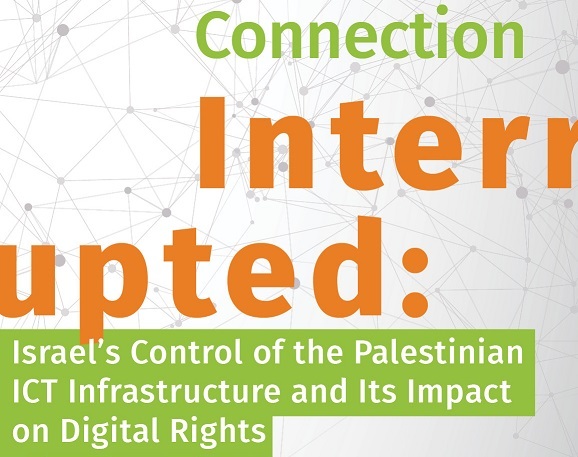 Many organisations express the necessity for digital security, particularly within the context of the ongoing illegal Israeli occupation and legislations such as the Palestinian Authority’s cyber crime law, which are increasingly curbing freedom of speech online.